When my husband was younger, he had a brisket blockade. He and a family friend fiercely enforced a no-brisket zone at family dinners. He has gone in and out of the brisket blockade since then, but he still makes us this slightly sweet brisket that’s always a winner, especially for Rosh Hashanah or Passover. Plus, it’s naturally gluten-free. 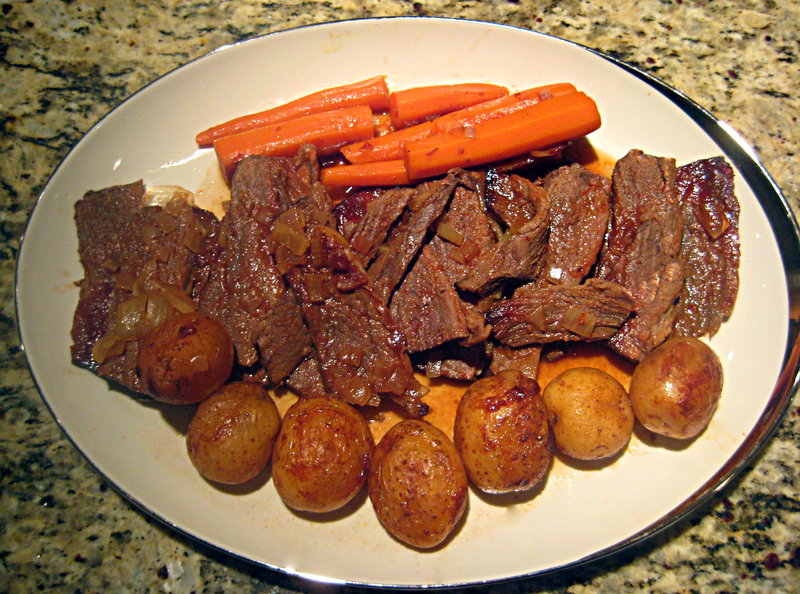 This recipe makes a small brisket, using a three-pound kosher brisket sold at Trader Joe’s. You might want to double the ingredients for a bigger piece of meat. Place brisket, fat side down, in baking pan. Add carrots, celery, onions, potatoes, garlic, salt and pepper. Add chili sauce and Coca-Cola. Meat should be surrounded by liquid, but not quite submerged. Put a sheet of parchment paper over the baking pan and then cover with aluminum foil. 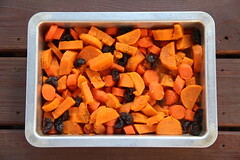 Place in preheated oven and cook for 2.5 hours. Take out of the oven, slice the brisket (thin slices against the grain), return the meat to the sauce, and cook covered for one more hour. 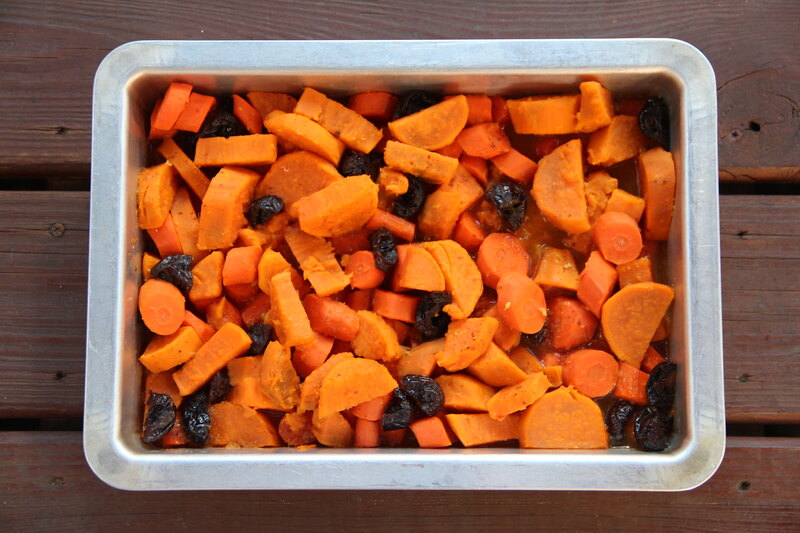 Put meat in the middle of a serving dish and flank with cooked carrots and potatoes.